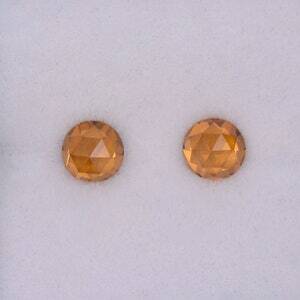 Beautiful Champagne Pink Zircon Gemstone Match Pair from Tanzania 2.72 tcw. 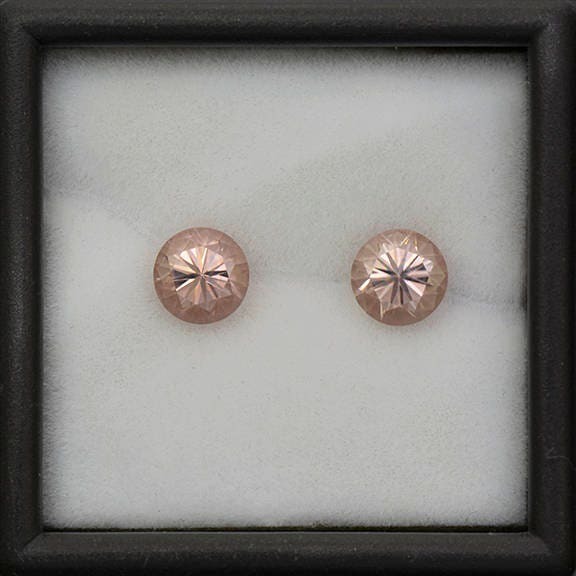 Here is a lovely match pair of Zircons! 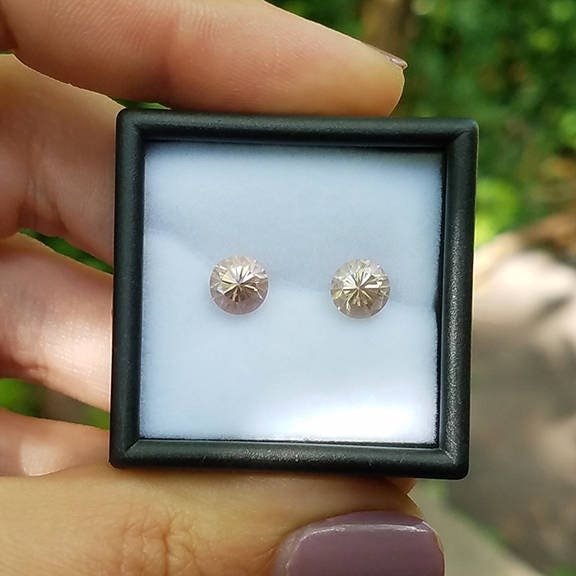 These gems have a bright champagne color with a soft hint of pink that has a brilliant silvery quality that is to die for. The clarity of these are excellent and have just breathtaking flash! The stones display some multi-color flash out in the sunlight. The matching cut is an excellent round brilliant that glitters excellently. You can see the classic birefringence (facet doubling) that Zircon displays in the photos. Zircon has a bad rap because it is often confused by many as cubic zirconia. However, Zircon is a natural mineral and chemically is zirconium orthosilicate. 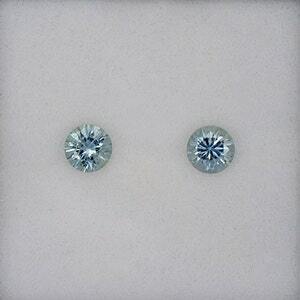 These stones will make an excellent pair of earrings and will look nearly identical to fancy colored Diamonds! Enjoy! 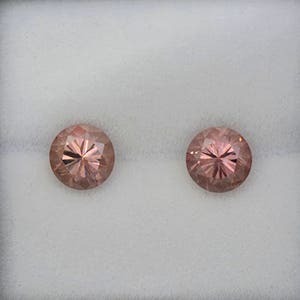 Gorgeous Pink Champagne Zircon Gemstone Match Pair from Tanzania 2.78 tcw. 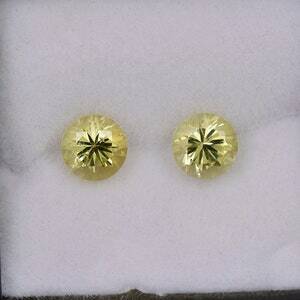 Excellent Blue Green Sapphire Gemstone Match Set from Montana 0.92 tcw.